The lion of the tribe of Judah. In the scriptures of the Word of God, Jesus is known as the Lion of the Judah tribe. But most people prefer to recognize it as the sacrificed lamb. There are those who prefer the submissive, noble, merciful lamb willing to give his life as a sacrifice for humanity. And there are those who creatively prefer a lion cub. But Jesus Christ, the Lion of the tribe of Judah, is not exactly defenseless, nor tender. Jesus the Lion of the Tribe of Judah, roars with fury. For the anger against those who want to steal his power, lordship and glory that only belongs to Him. Jesus is compared not only to the lamb for his nobility, but also to a fierce lion. Our Lord Jesus does not shrink, he does not run away, he does not retreat, he does not hide behind any lie. It simply says: "It's me." And his demeanor reveals absolute security, authority and bravery, that any one recovers admired and falls. Jesus marked the goal of his ministry, defending with his authority the word of his Father, without allowing manipulation or disorder against recurrent attacks. Jesus had no doubts in denouncing the dishonest legalists and hypocrites of the time. They tried to invalidate the Word of God, those leaders that the people revered because of their ignorance, Jesus confronted them. Jesus today has been presented and known as the immolated Lamb of God. With a loving and compassionate personality, I pay with the price of his blood the sin of humanity. But at the second coming of Jesus to the world you will be known as the Lion of the tribe of Judah who roars fiercely. In the course of your life different difficult situations will arise, in which you will possibly lose your orientation and despair. Jesus Christ the lion of the tribe of Judah will triumph in any situation, so you should not feel anxious or worried. Jesus, by his great mercy and care allows us to be saved. When we stop doing the things we know we should do, we begin to neglect our salvation. It is our responsibility to feed our relationship with Jesus every day to increase our trust in the lion of the tribe of Judah. 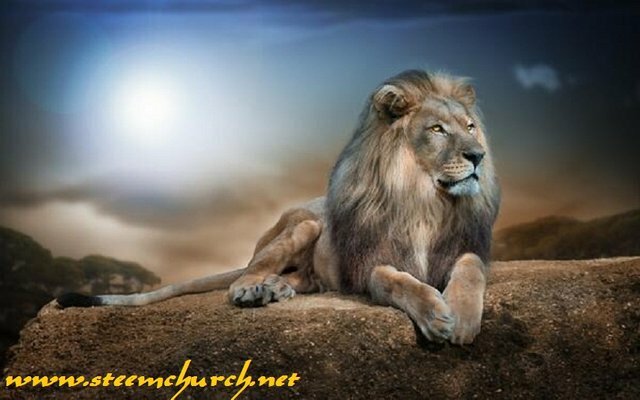 The lion of the tribe of Judah King of Kings and Lord of Lords judge of the whole earth and our Savior is Jesus Christ. Jesus intercedes before his father our God so that the iniquities that of mankind may be erased. He who does not have the genuine will to love God and his son Jesus who does not receive him as the only and sufficient savior does not have the opportunity to be saved. Anyone who does not accept the love of God, our Lord Jesus Christ and the Holy Spirit of God loses the freedom to choose to be saved. The Lion of Judah is the symbol of the Tribe of Judah, according to the readings and biblical interpretations we can find that it is the tribe of the lineage of the kings of Israel, like the ancestors of King David. The emblem symbolized by Kings and the Lion of the tribe of Judah, is due to the words of blessing pronounced by Jacob. Father of Judah who calls his son lion cub my son. Originating the emblem for the prophecy given that Jesus the Messiah would come from the tribe of Judah. 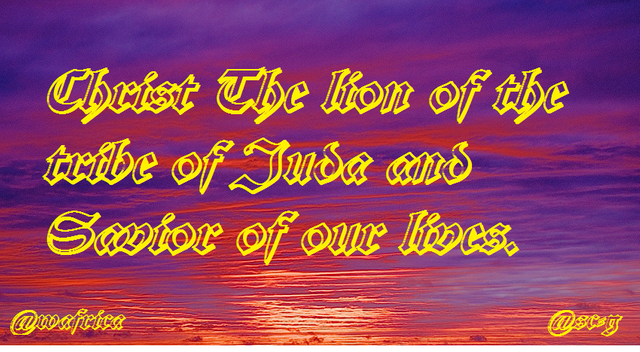 Lion of Judah, messianic title given to Jesus for being the Messiah governor of the world. Of the offspring of King David and the tribe of Judah, it came from the one who conquered death itself. And who is present to fight in the final judgment. To show everyone who believed in Him that he enjoyed eternal life, Jesus is the source of true power. The symbol of greater strength and ferocity is represented as a lion, to demonstrate the greatest power among all humanity. Those who do not genuinely and truly accept Jesus, their soul will be very far from the salvation that God gives in eternity. All that boastful of their own ego, presumptuous and proud of their broad understanding has voluntarily departed from God. It is time to tell those who do not know that Jesus Christ was born of the tribe of Judah. The Lamb of God, Jesus who takes away the sin of the world came to become the Lion of the tribe of Judah and to establish the Kingdom of God. The Lion of the tribe of Judah is heard throughout the world, his "roaring" are the good news of salvation. For more than two thousand years the disciples of Jesus roar with Him so that in the whole earth the truth of the Gospel may be heard. To give victory against sin and death, against the error of a life without the perfect guidance of God. So that those who believe receive, the salvation of their soul for eternity. The roar of the lion reaches to be heard until one of more than 8 km away. But the roaring of Jesus Christ will be heard to the ends of the earth. The heavens and the earth will tremble, that roar will be heard in all nations. Jerusalem the capital of Judah was David who made it capital. And capital of all Israel when it unified the whole kingdom. Jerusalem remains the capital of the Jews and the prophetic capital of the world. It was in Jerusalem that the slain lamb of God died, where our savior was resurrected. 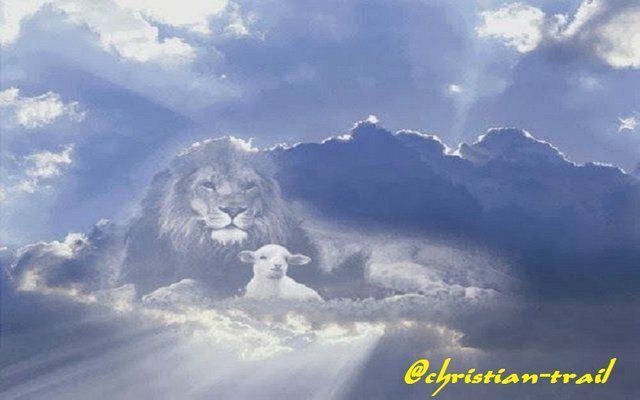 It is there where the Lion of Judah roars and it is there where Jesus Christ will return in the clouds so that every eye may see him and every ear may hear him. Jesus Christ will come to establish the Kingdom of Heaven here on the new Earth. Where we will live with Him eternally. All of us who receive him, accept God's plan of salvation and have heard the roar of the Lion of Judah. Grateful to God for giving me the happiness of knowing people of blessing and who support the work of all the members of this community thanks to @sc-g @wafrica @sc-v @christian-trail and the entire team steemchurch. Yes he is also "The Lion". We all know who Lion is. I pray He Roars against enemy nations. Amen! Peace is the only thing that brings happiness.... And Happiness brings peace.. So be happy. You got a 23.60% upvote from @brupvoter courtesy of @josevina! Congratulations @josevina ! You received a 1.60% upvote from @kryptoniabot & @kryptonia for your task of 300 SUP Today.